Ever heard of a ‘wordle’? I’m fairly certain you have, you just didn’t know they had a name. Wordles are groups of words that sound exactly the same but mean different things. 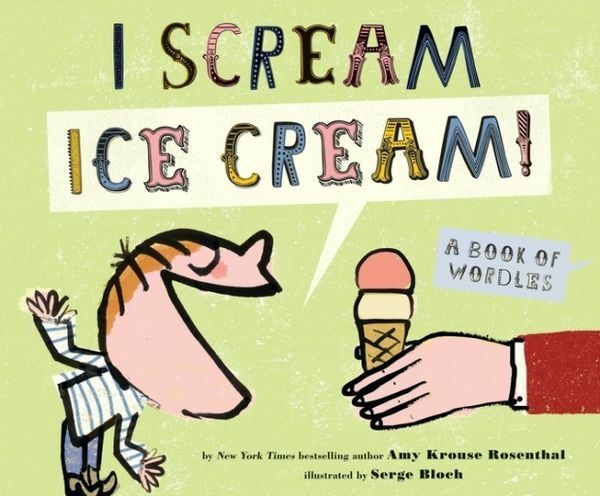 For example, “I scream!” and “Ice cream” or “Reindeer” and “Rain, dear.” They are also the subject of the latest book by bestselling children’s author, Amy Krouse Rosenthal – I Scream Ice Cream!. 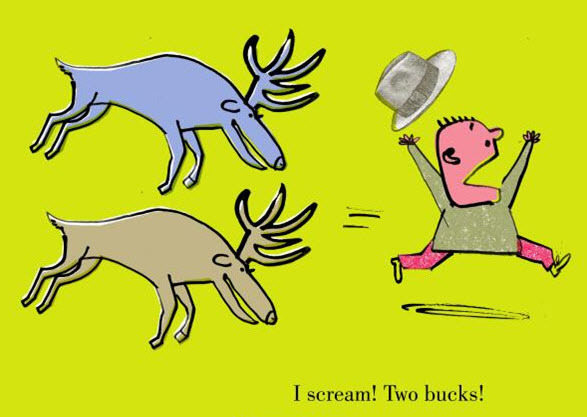 Teaming up with illustrator Serge Bloch, Krouse Rosenthal presents word play in a whole new way. Some of the wordles are simple, such as “heroes” and “he rows”. Others are a little more sophisticated – “I see!” turns into “Icy!” and then to “Aye, sea!” There’s fun to be had after you’ve finished reading because wordles are somewhat addictive and my kids have been working hard to come up with their own. Of course the key to this book is the illustrations and Bloch’s bold, strong graphics help readers visually decipher the wordles. I Scream Ice Cream! is available from Book Depository and is suitable for children aged six years and over. Book Depository deliver free to Australia. 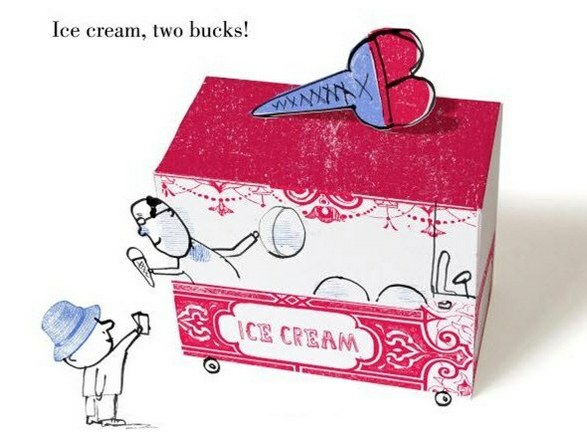 If your children enjoy the wordplay in I Scream Ice Cream!, be sure to check out Krouse Rosenthal’s earlier release, Wumbers, a book that combines numbers and words, as well as our previous reviews of Little Pea and Spoon.